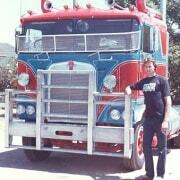 Shaw’s Darwin Transport have been helping customer move goods to and from Darwin since 1981. 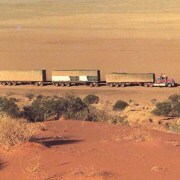 For over 36 years we have been operating a fast and reliable road freight connection between Sydney, Brisbane, Perth and Darwin. Find out more about our history, key achievements and milestones below. William purchased his first Kenworth prime mover to operate a road express service between Sydney and Darwin, as a subcontractor to one of the major national carriers. William purchases additional prime movers and trailers, fleet begins to grow in size. The business name “Shaw’s Darwin” is officially registered. New specialist equipment has been added to the fleet to meet customer demand. After thirty years as sole owner of a successful growing business, William decided to expand the ownership base of the business by encouraging his long term Managers to take a financial and controlling interest in the business. On 31 March 2011, control of the business was passed over to the ‘New’ Board of Directors. Board members consisting of Allan Thornley, Managing Director; Jim Backhouse National Fleet Maintenance Manager; Malcolm Pascoe, National Linehaul Manager; Paul Williams, Financial Controller, and Gary Broughton, Manager Northern Region. Fleet size is now at 43 Prime Movers and 127 Trailers, including maximum volume drop deck mezzanine floor tautliners, refrigerated tautliners, and refrigerated vans, plus local pick up and delivery vehicles. Our safety record has been maintained by implementing a two-driver operation on all express movements. This allows goods dispatched on our road express services from Perth, Sydney, or Brisbane to arrive in Darwin only 56 hours later without compromising safety or reliability. In confirmation of our commitment to safety and responsible operation we hold nationally recognised accreditation in Vehicle Maintenance, Mass Compliance and Fatigue Management. The new facility, conveniently located at East Arm, totals some 11 acres; including two separate warehouses of 3600 m2 each linked by a covered freight handling area of 3600 m2. 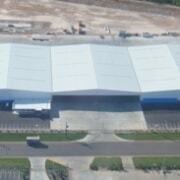 The bulk of the remaining area is developed as secure open hardstand for the storage of heavy equipment and supplies. The road freight services industry in Australia is going through some exciting changes in 2019. Shaws Darwin Transport are focused on continually improving the services we offer.